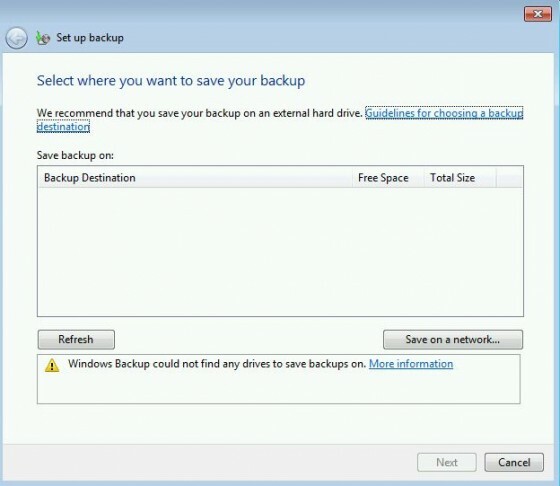 In my last article, I discussed backups in Windows, why people should make backups, the types of backups available in Windows, and some media types that can be used for backups. 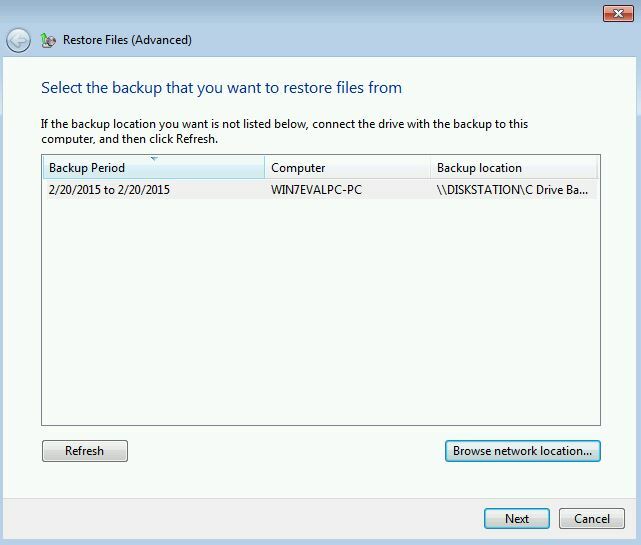 In today’s article, I am going to look at the steps involved for creating and restoring backups in Windows 7. 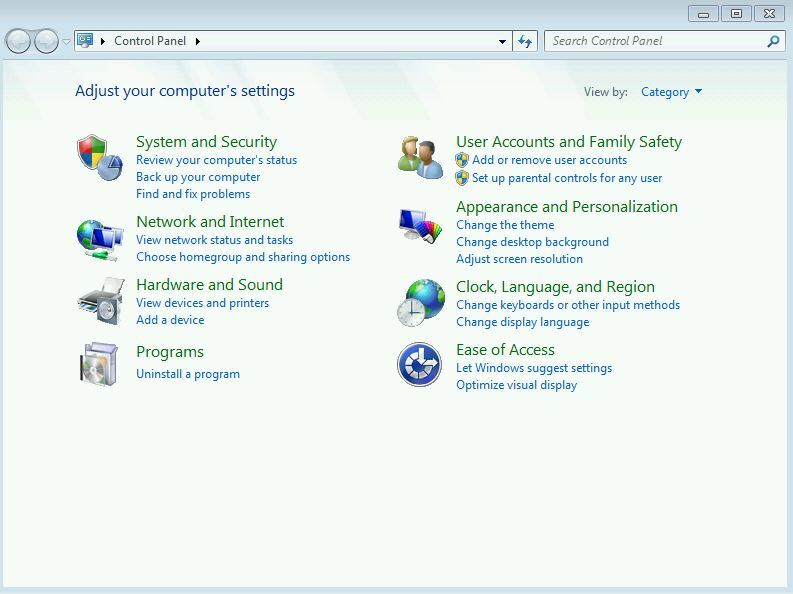 I will look at creating and restoring system images in Windows 7 in my next article. As a note of warning, users should not select the same local drive where their data is stored as the backup location. Failure of the hard drive would cause the loss of both the original and backup sets of data. The same issue would apply for regarding data corruption on the drive. As such, please make sure that the backups are stored in a different drive or location using one of the media types I discussed in my last article. 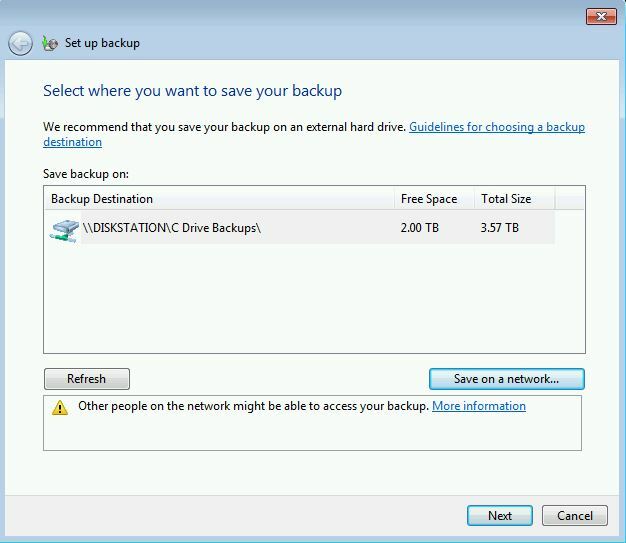 Windows 7 has two backup options available. In this article, I will be discussing the steps needed for creating and restoring Windows backups. 3. 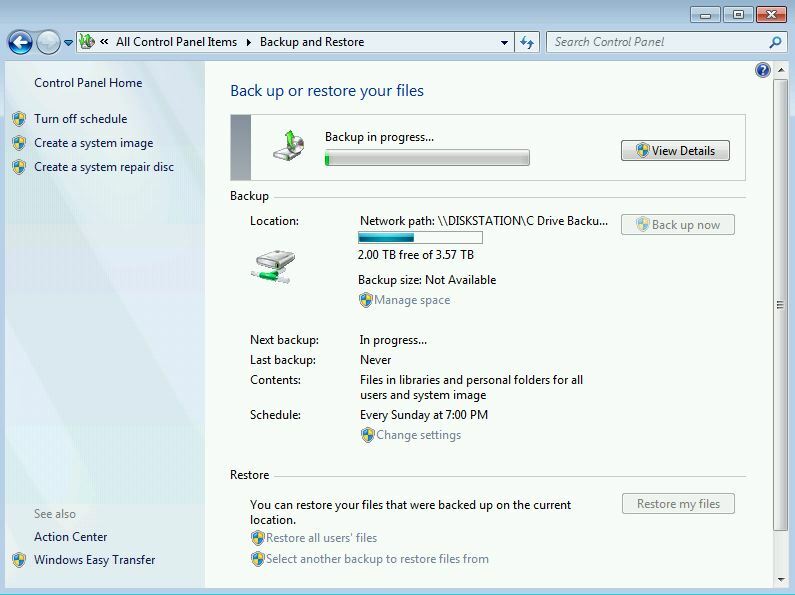 If viewing the Control Panel using Small icons or Large icons, select the Backup and Restore option. If viewing by Category, click on Back up your computer. 4. If there has never been a backup of the data on this PC created, click on the Set up backup link. 5. A new window will open for setting up the backup. In this window, users will need to select the backup location. For this article, I am going to have to use the Save on a network… option as my Windows 7 virtual machine does not detect the other physical hard drives in my computer. 6. After clicking the Save on a network… button, the next screen to load is the Select a network location screen. On this screen, users will need to enter the network location and login credentials for the network drive that the backups will be stored on. 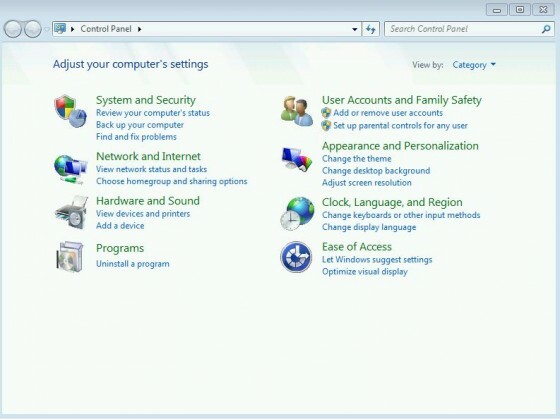 When selecting the network location, users will be prompted for the login credentials needed to access that network drive two times, once while selecting the network location and once on the Save a network location screen itself. 8. 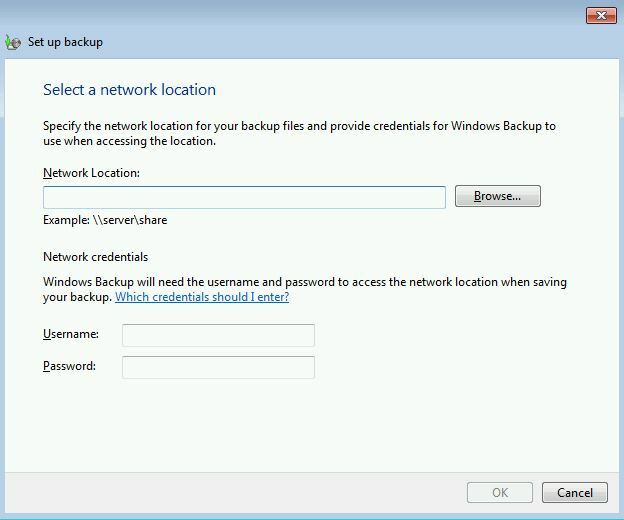 The Select a network location window will close and bring users back to the main Set up backup window but now the window will display the selected network location for storing backups at. 10. The next screen that loads asks what to backup. There are two options. 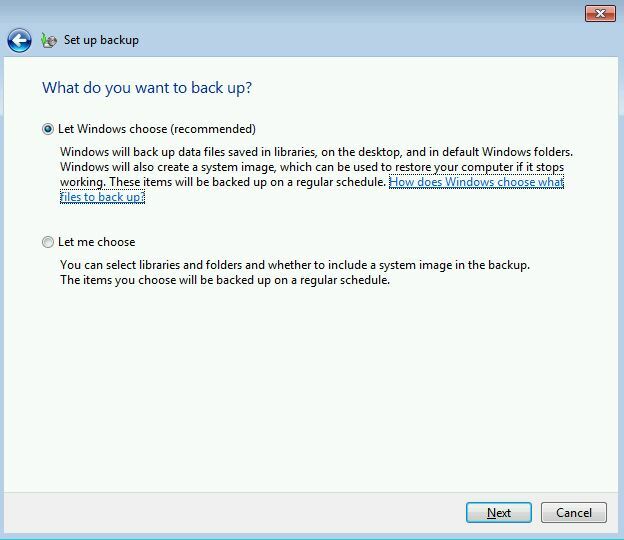 The first options is to let Windows choose and will back up the items described in that option in the image below. The second option allows users to select what they wish to have backed up. I am using the first option for this article. 11. Click on Next after selecting the option needed. 12. The final screen to load before the backup is created is a screen to Review your backup settings. After reviewing the settings, click on the Save settings and run backup button. 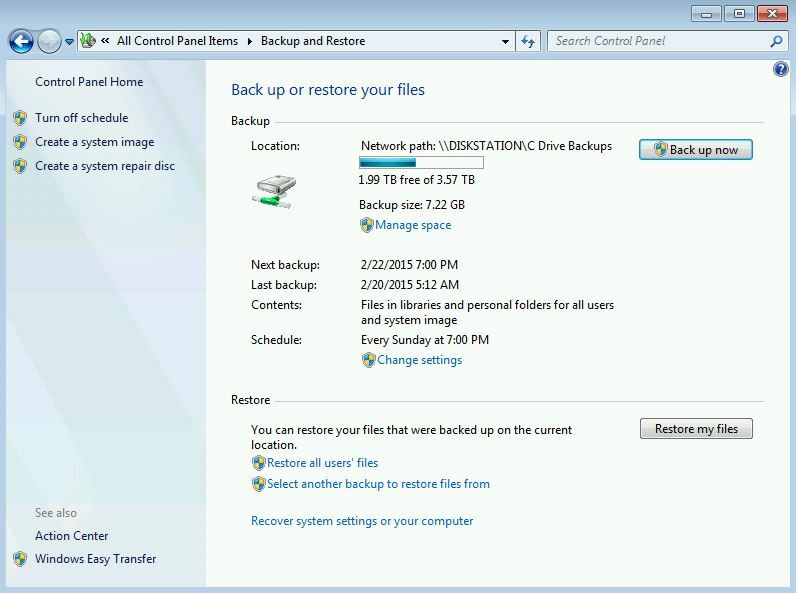 On this screen, users can change the date and time for the automatic backups if needed. 13. 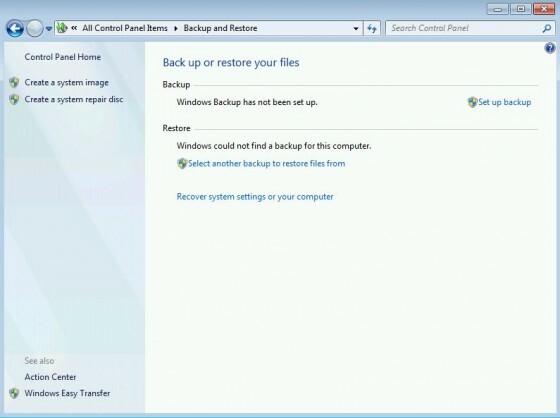 While the backup is being created, users will see the window shown below. 4. Now that there is a backup saved for this PC, there is an additional option on the Backup and Restore window. Towards the bottom of the window is a section titled Restore. Using the Restore my files button will not work with the backup I created in the steps above because I do not have the correct permissions to access the network location. That button should work though if the backup was saved to another hard drive on the same computer. 5. 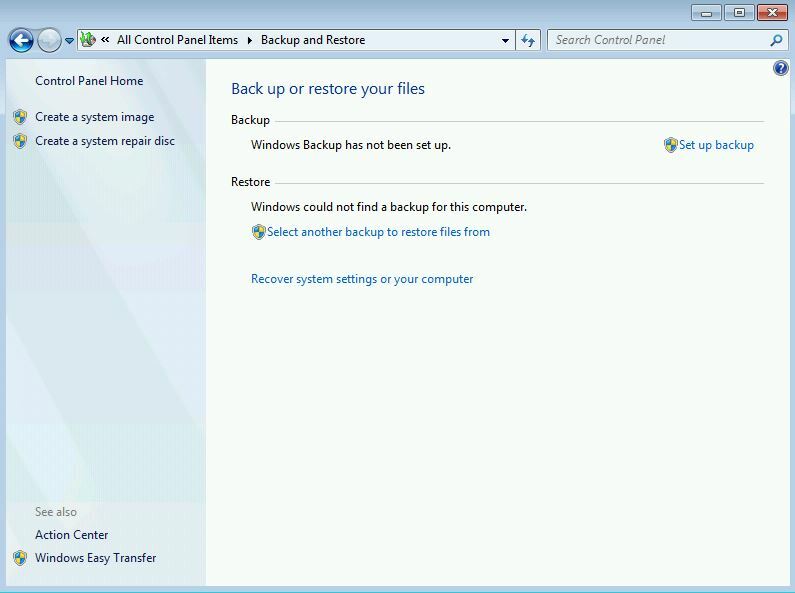 I am going to use the Restore all users’ files option to recover the backup. There is also an option to Select another backup to restore files from. I’ll look at the steps for that option in a separate section below. To restore all users’ files, click on the link for Restore all users’ files. 6. Several options are available for finding the backup locations. Search allows users to search for the backup using a partial or full file or folder name. 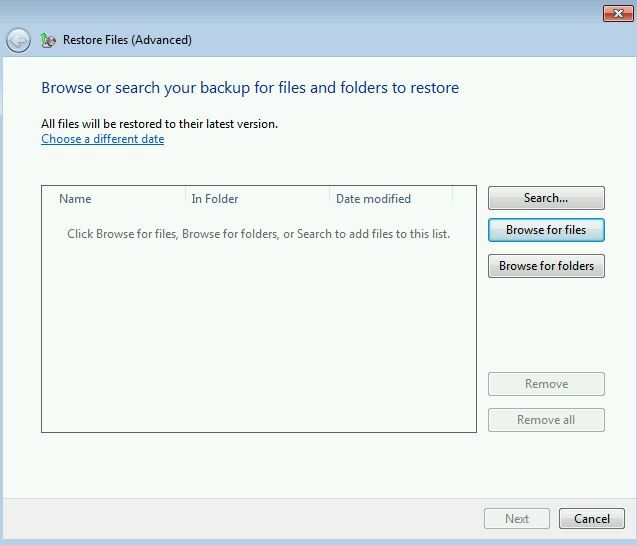 Browse for files allows users to look for specific files in the backup that users may wish to restore. After browsing to the files to be restored, click the Add files button. 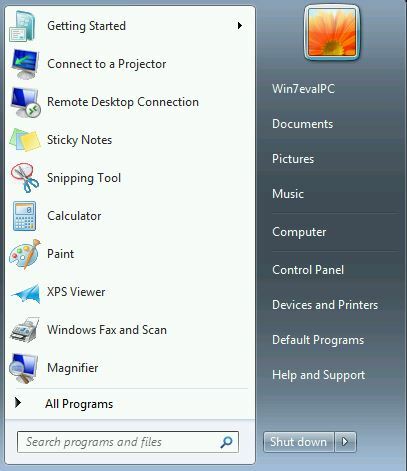 Browse for folders works like the Browse for files does but users can only select the folder level and not browse to the individual files. Users can also use Browse for folders to restore the full backup which is what I am going to do. 7. After selecting the files or folders to restore, the following screen will load. Click on Next to continue. 8. Next, users are prompted to select where the files/folders will be restored to. The options are to restore to the original locations or in a location selected by the user. I am going to restore to the original location. After choosing where to restore the files/folders, click the Restore button. 9. Users will be prompted to choose what to do for duplicate files when restoring to the original location. I am going to use the copy and replace option. So that the window doesn’t load for each duplicate file, I am going to check the box for Do this for all conflicts. 10. After the restore process has been completed, click Finish. In step 5 above, I mentioned about the option to Select another backup to restore files from. Select another backup to restore from is used if the backup was from a different computer or stored on a network drive. Please replace step 5 in the directions above with the following steps if you need to sue this option. After completing these steps, users will go back to step 6 in the directions above. 1. Click on the Select another backup to restore files from link. 2. 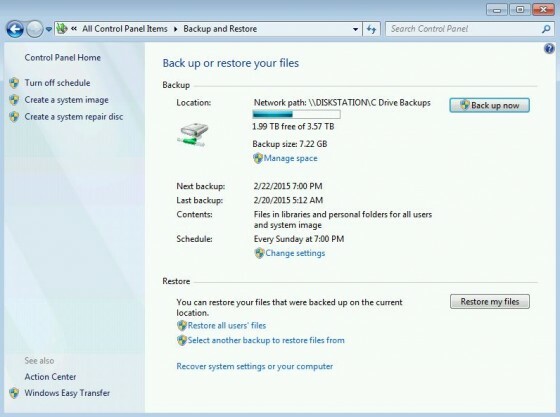 A new window will load allowing users to select where to recover the backup from. 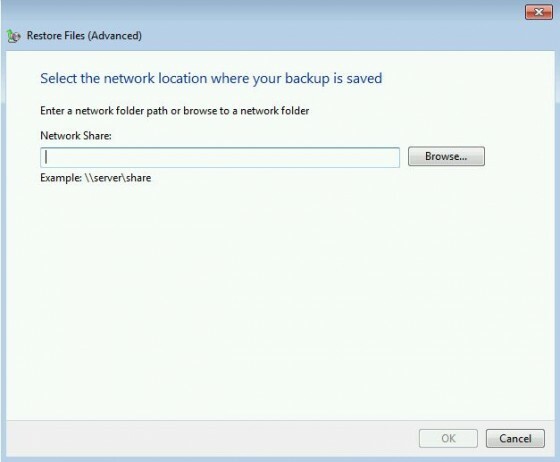 If the backup doesn’t appear in this window and the backup was saved to a network location like I did earlier, click on the Browse network location button. 3. On the next screen, select the network location where the backup is saved. If necessary, browse to the location using the Browse button. After selecting the location, click OK.
4. 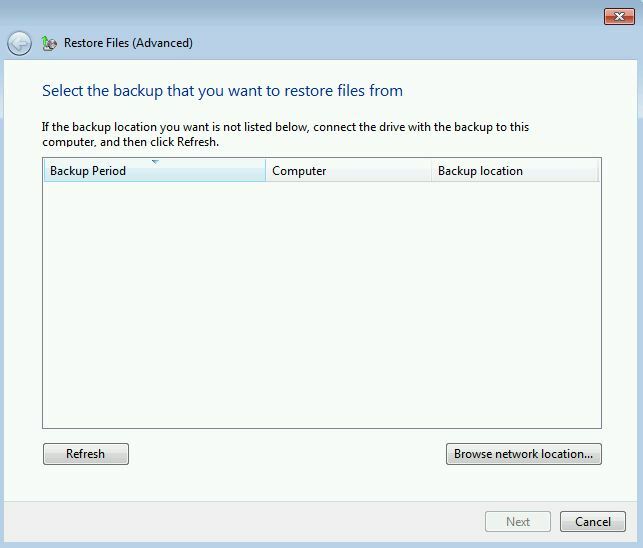 The window to select the location where the backup is stored will close and the window to select the backup to restore from window will now show the backup that will be used in the restore process. Click on Next. 5. Go to Step 6 in the restore directions above and continue through the rest of that process from here. In this article, I looked at the first of two options for creating and restoring backups in Windows 7. 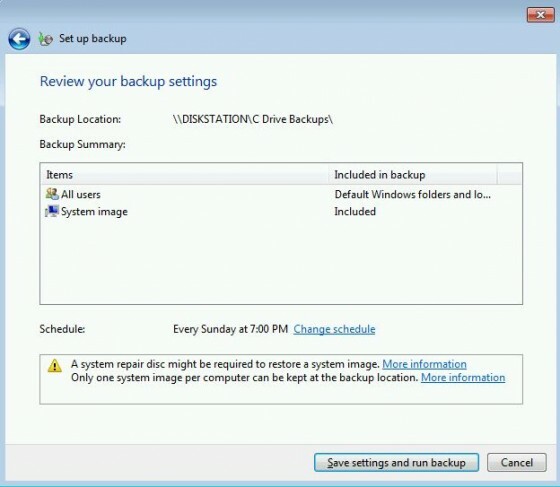 In my next article, I will be looking at creating and restoring system images, the other backup option for Windows 7. Please let me know if there are any questions or comments regarding the use of Windows Backups. You can contact me using the comments section below or email me using the link in my bio.